A growing trend is to build out a separate theater or media room in the home. Where to put your theater room depends on the overall size and existing layout of your home. 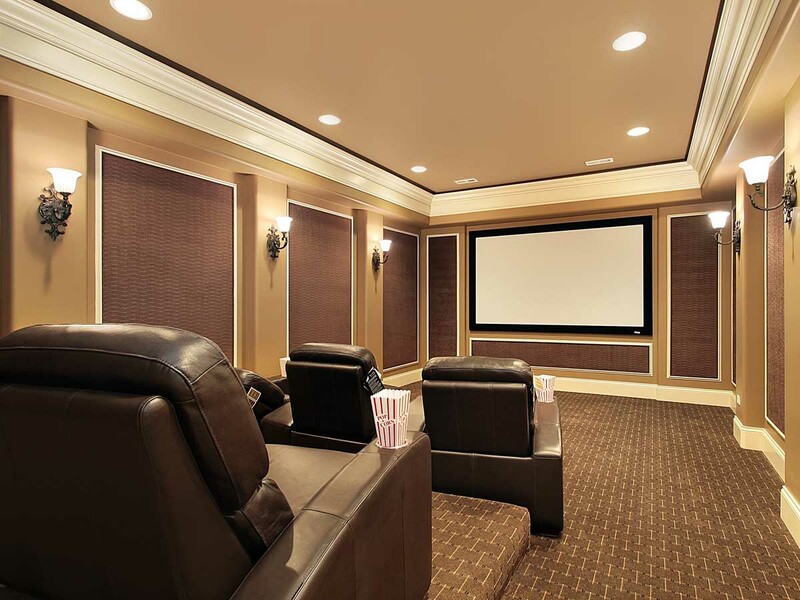 If you have a basement, many people will finish it out by turning it into a theater room. When designing a theater room, you should lay out the overall size of the room. This will help in determining the size of the television screen, as well as the location of the seating in the room. You also need to consider where all the main receivers and other equipment will be stored. If you are putting the theater room in an unfinished basement, there are a number of building materials that are required. If you are just putting new equipment in an existing room, then the items to shop for are mainly the audio visual components. Here is a video from the eHow at Home Channel on some ideas to consider.